Inspired by Heidi Bucher’s wearable body shells, create intriguing sculptural forms you can inhabit. The workshop will encourage you to draw from observation before designing and creating your own wearable sculptures using natural objects and materials. The workshop is facilitated by artist educator Flora Duley. She studied Fine Art at Chelsea College of Art and is an arts educator that runs family workshops. 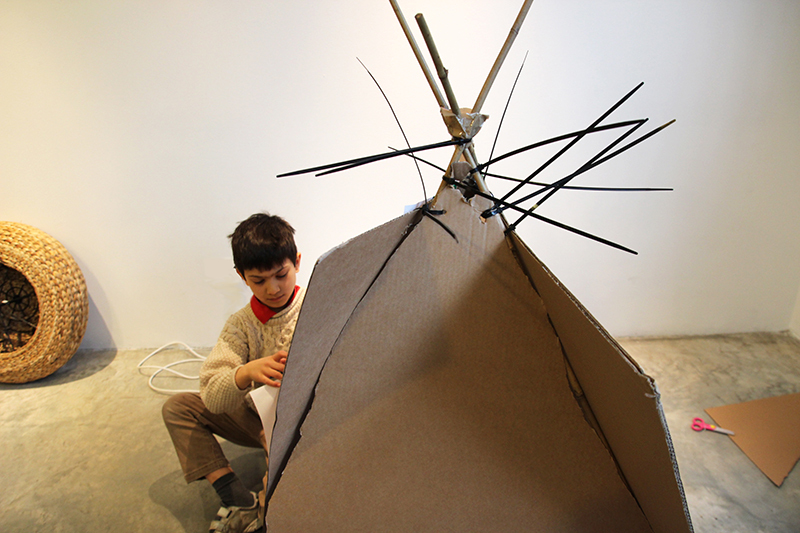 Parasol unit’s Family Programme is generously supported by GreatArt.